PARTNERSHIP means joining Oblate leadership in a dialogue about how to best help those who are called to serve within the context of human dignity that the founder articulated. Partnership then becomes a mutually beneficial exchange between Oblates and Partners about the best way of proceeding together. Each year Partners meet with Oblate leadership to discuss priorities and strategies. 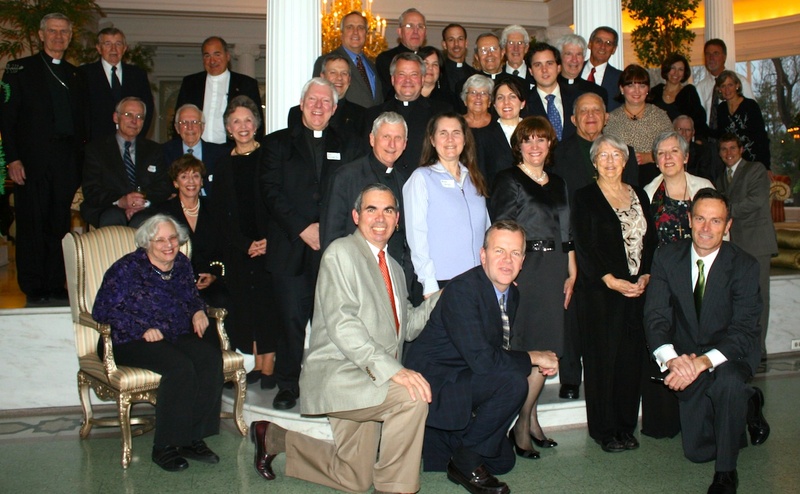 Pictured here are Partners who met in 2006 in San Antonio with Oblate Provincial Louis Lougen, OMI, and Vicar Provincial Bill Morell, OMI.